First thing I posted Hester’s parcel and card and then headed to the Landmark Centre to get my application for this years Sparkle show in November in on time. I am hoping to be allocated the same stand or one in the same area as this was a good place to be based. In the afternoon I braved a trip back into Kingston to look for some clothes for our up coming trip to Athens at the end of the month. This is my birthday present from Colin and we have an Air B&B apartment right near the Acropolis for 5 nights. We have not been to Athens before and my list of things to see and restaurants to visit already accounts for about a month in time! 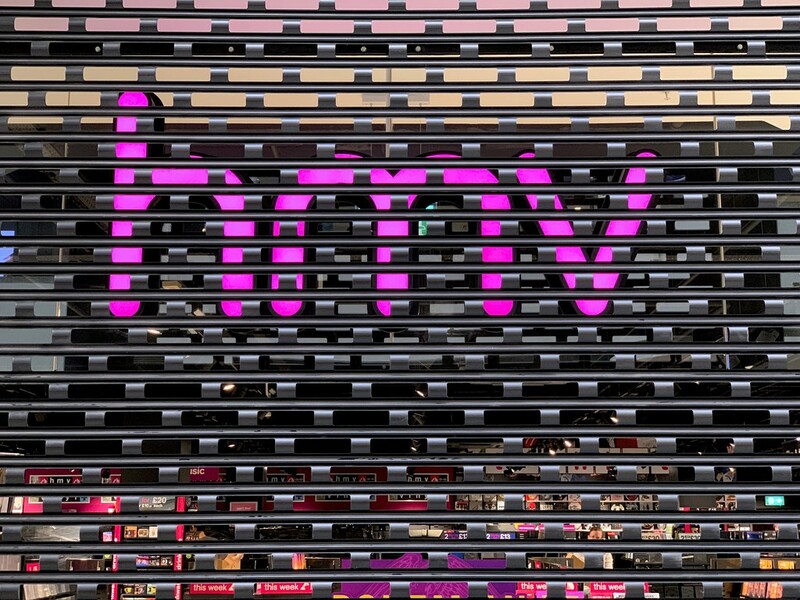 This is the HMV shop in Kingston which was supposed to have survived the ‘cull’ but apparently the shopping centre has reneged on the rent agreement so we are losing our only record and cd shop around. Sad days for the High Street. I was successful in getting a top and trousers from good old John Lewis but only after I managed to lose my sunglasses and have to revisit every single shop I had been in, only to find them in lost property in the first shop I realised I had lost them in - I think it’s an age thing!